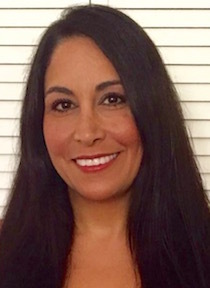 Dr. Leila Ansari Ricci is an Associate Professor in the Mild/Moderate Disabilities program of the Division of Special Education and Counseling in the Charter College of Education at Cal State Los Angeles. Dr. Ricci is the Program Coordinator for the Special Education residency pathway of the Los Angeles Urban Teacher Residency-Transformation Initiative (LAUTR-TI). Her passion is supporting and inspiring Cal State LA credential candidates to complete their educator preparation and make a difference in the lives of all children, with and without disabilities. Dr. Ricci’s teaching interests include teaching reading, the foundations of special education, instructional planning and delivery, collaboration and co-teaching, as well as support and supervision of interns, residents, and traditional credential candidates. Dr. Ricci’s research interests focus on teaching reading to children with disabilities, collaboration and co-teaching between general and special education teachers, and supporting novice educators. Murawski, W. W., & Ricci, L. (in press). Co-teaching and UDL: A perfect union. In W. W. Murawski (Ed. ), What really works in UDL. Thousand Oaks, CA: Corwin. Ricci, L. A., & Fingon, J. (in press). Experiences and perceptions of university students and general and special education teacher preparation faculty engaged in collaboration and co-teaching practices. Networks: An Online Journal for Teacher Research. Ricci, L. A., & Osipova, A. (in press). Positives, potential, and preparation: Preservice special educators’ knowledge about teaching reading to children with Down syndrome. Exceptionality Education International. Ricci, L. A., Persiani, K., & Williams, A. (in press). From ‘training wheels for teaching’ to ‘cooking in your mother-in-law’s kitchen: Co-teaching in an urban teacher residency program. Teacher Education & Practice. Ricci, L. A. (2018). What really works in teaching reading to kids with visual impairments. T-Care Newsletter, 6, 2. California State University, Northridge: Center for Teaching and Learning. Ricci, L. A., & Fingon, J. C. (2017). Faculty modeling co-teaching and collaboration practices in general education and special education courses in teacher preparation programmes. Athens Journal of Education, 4(4), 351-362. Williams, A., Ricci, L. A., & Persiani, K. (2017, June). Transforming teacher preparation through the lens of social justice: Challenges and lessons learned from the first five years of the Los Angeles Urban Teacher Residency program.CCNews: Newsletter of the California Council on Teacher Education, 28(2), 27-31. Ricci, L. A., Zetlin, A. G., & Osipova, A. (2017). Preservice special educators’ perceptions of collaboration and co-teaching during university fieldwork: Implications for personnel preparation. Teacher Development, 21(5), 687-703. Ricci, L. A.(2017). Creating a cadre of capable readers. In W. W. Murawski & K. L. Scott (Eds. ), What really works with exceptional learners(pp. 23-41). Thousand Oaks, CA: Corwin. Osipova, A. V., Ricci, L. A., & Menzies, H. (2016). Bienvenidos atodos: Strategies for supporting students with learning disabilities in a foreign language classroom. Journal ofthe International Association of Special Education, 16(1), 89-99. Kamei-Hannan, C., & Ricci, L. A. (2015). Reading connections: Strategies for teaching students with visual impairments.New York, NY: American Foundation for the Blind Press. Ricci, L. A.,& Zetlin, A. G. (2013). Interweaving teaching and emotional support for novice special educators in alternative certification programs. Journal of the National Association for Alternative Certification, 8(2), 23-42. Persiani, K., & Ricci, L. (2018, January). Implementation of co-teaching models in elementary and secondary classrooms. Presentation at the 16thAnnual Hawaii International Conference on Education, Honolulu, HI. Ricci, L., Persiani, K., & Williams, A. (2018, January). ‘Training wheels for teaching’ and ‘cooking in your mother-in-law’s kitchen’: Co-teaching in a teacher residency. Presentation at the 16thAnnual Hawaii International Conference on Education, Honolulu, HI. Ricci, L. A., Williams, A., & Persiani, K. (2017, September). Math, science, and special education credential candidates and mentors co-teaching in Los Angeles Urban Teacher Residency program: Experiences and lessons learned. Presentation at the Co-Teaching Symposium, Monterey, CA. Williams, A., Ricci, L., & Persiani, K. (2017, March). Innovative transformation of general and special education teacher preparation: Case study of a TQP-funded residency program. Presentation at the 69thAnnual Meeting of the American Association of Colleges for Teacher Education, Tampa, FL. Ricci, L., Williams, A., & Persiani, K. (2017, January). Highlights and challenges of collaboration and co-teaching in urban teacher residency program preparing special education, math, and science teachers. Presentation at the 15thAnnual Hawaii International Conference on Education, Honolulu, HI. Ricci, L., Persiani, K., & Williams, A. (2017, January). Using co-teaching to promote differentiation in urban math and science teacher residency classrooms. Poster at the 15thAnnual Hawaii International Conference on Education, Honolulu, HI. Ricci, L., Fazzi, D., Fingon, J., Persiani, K., & Osipova, A. (2016, October). Co-teaching experiences of higher education faculty: Process and outcomes of college-wide collaborative teaching projects. Presentation at California Council on Teacher Education, San Diego, CA. Ricci, L., Williams, A., & Persiani, K. (2016, October). Co-teaching in urban teacher residency program: Sharing victories and challenges. Presentation at the National Conference on Co-Teaching, Bloomington, MN. Kamei-Hannan, C., & Ricci, L. A. (2016, April). Reading connections: Strategies for teaching students with visual impairments. Presentation at the California Transcribers and Educators for the Blind and Visually Impaired, Los Angeles, CA. Kamei-Hannan, C., & Ricci, L.(2016, April). Supporting readers who are blind or visually impaired: Assessments, strategies, and activities for balanced, effective reading instruction. Division of Visual Impairments Showcase presentation at Council for Exceptional Children Convention, St. Louis, MO. Ricci, L. A., & Zetlin, A. (2016, March). Strategies and tips for meaningful support for special education interns. Presentation at the National Association for Alternative Certification, New Orleans, LA. Williams, A., Ricci, L., & Persiani, K. (2016, March). Transforming theory and fieldwork: Lessons from an innovative teacher residency program. Presentation at the National Association for Alternative Certification, New Orleans, LA. Ricci, L., Zetlin, A., & Rhinehart, L. (2015, November). Supporting teachers in alternative certification pathways: Lessons for universities and K-12 schools.Presentation at the Teacher Education Division (TED) of the Council for Exceptional Children Conference. Phoenix, AZ. Sandmel, K., Ricci, L., & Cornelius, K. (2015, November). Feedback for effective teaching: A discourse analysis of an online professional development. Presentation at the Teacher Education Division (TED) of the Council forExceptional Children Conference. Phoenix, AZ. Sandmel, K., Ricci, L., & Cornelius, K. (2015, November). An online professional development module for university supervisors to provide effective written feedback. Poster at the Teacher Education Division (TED) of the Council for Exceptional Children Conference, Phoenix, AZ. Ricci, L. (2014, May). Teaching reading to children with Down syndrome: What do preservice special educators know and need to know? Presentation at the Pacific Rim International Conference on Disability and Diversity, Honolulu, HI. Ricci, L. A., & Zetlin, A. (2013, January). Developing collaboration skills of teacher candidates in a community learning center model. Presentation at the Hawaii InternationalConference on Education, Honolulu,HI.